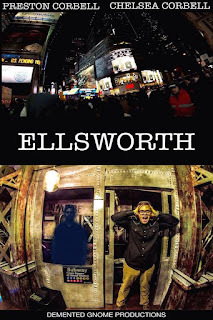 Preston Corbell is back once again with his latest film 'ELLSWORTH'. Having previously done two short films, the mental health film 'THE NAME I KNOW' and the short revenge film 'THE RUMPELSTILSTSKIN KILLER' it would seem as if this time around he wanted to combine those two elements. What we have here is a film starting off with a time-lapse video of New York City showing everything looking all busy and hectic and everyone in such a rush to get things done. Whilst below ground on a subway train a man waits for his train and getting on soon discovers that the train has indeed broken down. 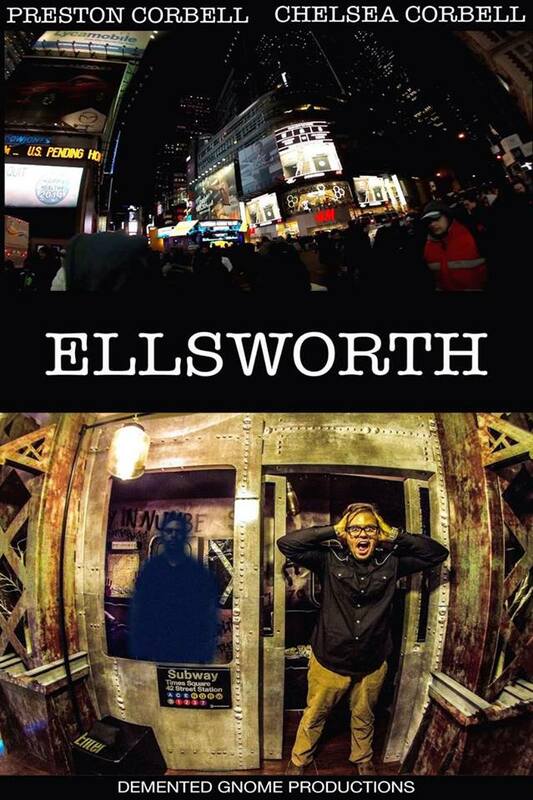 This is all intercut with a story of a murder and the hustle and bustle of New York City, while he himself is stuck still. Getting texts from a person he is supposed to meet does not help the man as he becomes stressed because he hates being late. Once the train is fixed and back up and running his demeanour changes and he is once again the calm collected person we met at the beginning. As he gets off the train at the end he is not the only one who gets off as we see three other versions of him get off as well. Was he the murdererer? Does he have split personality disorder? Though not as well paced as his previous efforts this film shows that he has the potential to make a feature length film given the right story. Some scenes do seem to be a rehash of his shorts which isn't a bad thing as most directors have a little quirk they try to creep in to all their films. Overall with another film on his resume and more experience this is a director that given time and money could push out a film that is remembered.